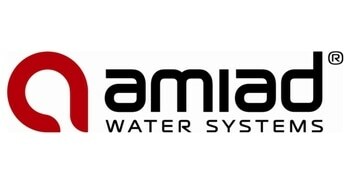 Amiad Water Systems is a leading global producer of automatic, self-cleaning water treatment and filtration products and systems. Through its engineering skills and ability to innovate, Amiad provides cost-effective “green” solutions for the industrial, municipal, irrigation, oil & gas and ballast water markets. In these segments its patented products are being integrated into the core of systems for filtration and water treatment, micro irrigation and membrane protection, wastewater and potable water treatment, cooling systems and sea water filtration. Headquartered in Israel, Amiad provides these water treatment and filtration solutions through ten subsidiaries and a comprehensive network of over 170 distributors to customers in more than 80 countries.